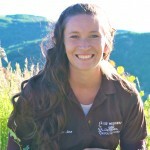 American Fork Director Jenn Baird has been with Up With Kids for 6 years. She developed a love for music and theater as a young girl. She would write plays for her younger siblings and cousins to perform for family. As a young adult, she performed with the Utah Valley Youth Symphony and participated in many choirs and orchestras. Music has always be a big part of her life. In college she double majored in Music Education and Music Theory and earned a Bachelors of Arts in Music from Utah Valley University. She taught choir and produced music productions at 2 local schools for 3 years before joining Up With Kids. Miss Jenn loves the influence Up With Kids gives her own children. Confidence is built by hard work, practice, and opportunity. She loves children, and she is passionate about developing the character of a new generation of youth. Miss Jenn is so excited to start the upcoming season! She invites your children to come learn music and theater in a fun and stress free environment.